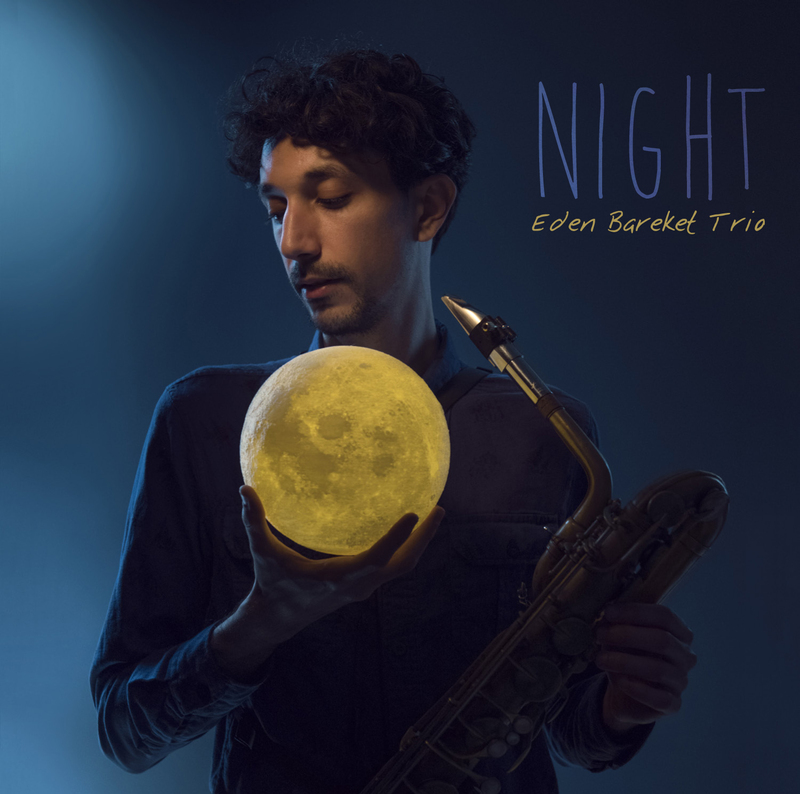 Baritone saxist Eden Bareket creates a rich post bop trio with Or Bareket/b and Felix Lecaros/dr on this nine song disc of originals. He’s got a big, fat and meaty sound, swooping into subtone territory when he digs deep with the bass on “Night Creatures” and creating a thick London Fog on “Escaping the Moment” and bel canto opening solo intro. His 5/4 dance on “Birds” is a Serengeti stampede and his growl for “Baccatum” is a roaring lion with his pads clip clopping to Lecaros’ drum pattern on “Children’s Play.” A rich and warm “Lost Melody” features his breathy bass clarinet before he closes with a staccato’d attack on “You’re Wrong.” Heavyweight punches with a TKO. Drummer Ralph Peterson leads a hip and hard hitting hard bop combo of Gary Thomas/ts-fl, Mark Whitfield/g, Davis Whitfield/p and Curtis Lundy/b through a swinging set at the Side Door Jazz Club in that jazz corner of the world Old Lyme Ct.
Thomas shows he knows how to stir up a groove as Thomas’ flute and Whitfields guitar get artsy over the gliding take of Eric Dolphy’s “Gazzelloni” before Thomas pulls out the tribal sticks and digs into a deep modal “Soweto.” He snaps the team into shape with his ride cymbal as they’re off to the races on ”L’s Bop,” but the leader shows also he can keep it suave and mellow with a gorgeous brush stroke for Lundy’s bass on “MOM” and a suave “I Hear A Rhapsody.” This guy must have a garage full of shovels, because he knows how to dig deep! Pianist Gabriel Zucker addresses soulful issues on his compositions with Tyshawn Sorey/dr, Adam O’Farrill/tp and Eric Trudel/ts on this three part journey. The “Part I. Soul” has chaotic angst between O’Farrill and Trudel with thunderous climaxes. Dramatic piano and crying broass along with screaming horns with flaying episodes dominate “Part II. Appointments.” Trudel’s tenor gasps and O’Farrill sighs in resignation with eerie and dramatic lyricism by the leader on “Part III. Stories.” Lots of emotion and energy begging for resolution. Gil Defay plays trumpet, flugelhorn and keyboards while arranging his soulful compositions for a supporting cast that includes Joel Desroches/key, Matthew Smythe/org, Ben Nicolas/dr, Bandji Allonce/perc, Antonio Penalva/g, Parker McAllister/b, Ansy Defayts-ss and other guests. Defay has a nice big fat and happy tone, and he uses it in a vintage R&B format for a disco-ish “D. Bros Groove” and the funky New Orleansish “What A Friend” and “D. Bros Blues.” Some hip Latin percussion sizzles under the brass on “Le Cri” and some fun jazzy jive vocals by Toku Jazz on ”Epistrophication” is a fun hoot of a way to close things out. Get out the dancing shoes.